- for (4) hours of performance time is $1200. Those who are better than average often charge up to double that amount. I've been a wedding DJ for more than 17 years. 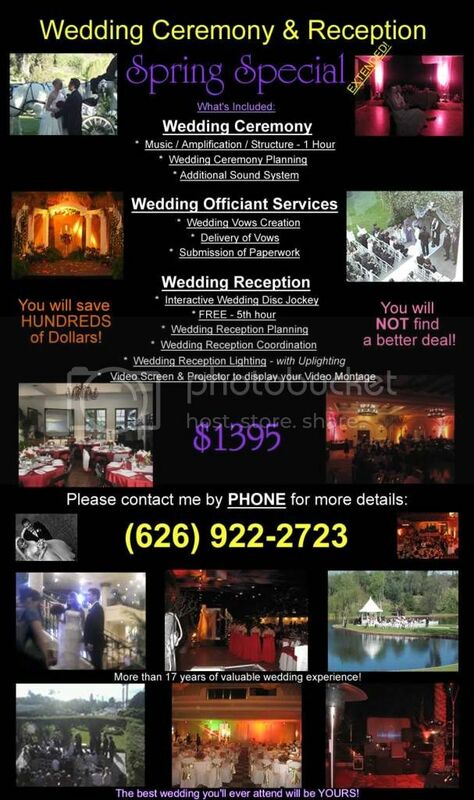 I'm currently offering you a (4) hour WEDDING reception for only $900. You can have the following deal for only $1395 and SAVE EVEN MORE! All you need is a 50% deposit to secure my services.